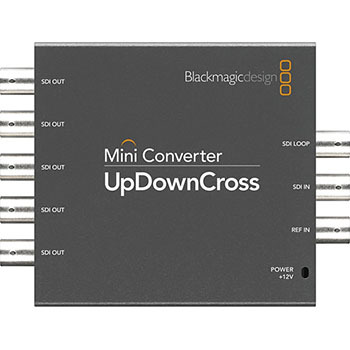 Mini Converter - UpDownCross - UpDownCross converter includes both up, down and cross conversion as well as a 4 field standards converter! Fantastic for placement on deck SDI inputs, so you always get NTSC or PAL into the deck. Use the cross converter to convert 720p to 1080i or 1080i to 720p so you can edit once and master in SD, 720p and 1080i video!